Where better to soak up the sun than the home of time itself? Every place in the world is measured by its distance (east or west) from the Greenwich Meridian line. Take a short walk up the hill and you can stand on the world famous line. Don’t pronounce the ‘ee’ in ‘Greenwich’ with a long /iː/ and remember the ‘w’ is silent (otherwise you will be saying ‘green witch’). Make sure you aspirate (release a puff of air) as you produce the /p/ sound in ‘park’ /pɑːk/ .  The ‘r’ is silent in most British pronunciations (see our blog on silent ‘r’ in English). Kensington Palace (the home of the late Lady Diana), a Peter Pan Statue and the Serpentine Galleries can all be found in this truly magnificent park. As with all English place names (apart from those ending in street), the second part of the compound (Gardens) takes the main stress (see people and place compounds). The letter ’s’ should be pronounced as /z/ in both words. Once reserved for the exclusive use of the royal family, London’s royal parks are now open for everyone to enjoy. Richmond Park is the largest of all the royal parks and is famously home to almost 700 deer (pronounced /dɪə/, just like the word ‘dear’). In rapid speech the /d/ in ‘Richmond’ may assimilate to an /m/ before the /p/ in park. The ‘o’ in Richmond is pronounced with a schwa sound /ə/ (a neutral,unstressed vowel). Also situated in the London Borough /ˈbʌrə/ of Richmond, Bushy Park is the site where the rules of modern day hockey were invented in the 19th century. Be careful of the ‘bu’ spelling in ‘Bushy’ it is pronounced with the mid-close, back, rounded vowel /ʊ/ as in ‘put’ /pʊt/ rather than the /ʌ/ in ‘but’ /bʌt/. The smallest of all the London parks, but the nearest to Royalty (Green Park is located right next to Buckingham Palace /ˈbʌkɪŋəm ˈpælɪs/). Like ‘Richmond Park’, nasal assimilation will take place in rapid speech, causing the /n/ in ‘Green’ to become /m/ before the /p/ in ‘park’. Thousands visit St James’s Park everyday in the summer to see the Pelicans /ˈpelɪkənz/. These gorgeous birds have been firm residents of the park since they were donated by a Russian Ambassador in the 17th century. Both of the ‘s’ in ‘James’s’ are actually pronounced /z/ and we don’t stress ‘St’. Hyde Park is the place to go and practise your pronunciation at Speakers’ Corner, home to the Diana Memorial Fountain, and a large boating lake. It’s another example of assimilation: the sound /d/ may assimilate to /b/ before park so it will sound like /ˈhaɪb ˈpɑ:k/. This park has to be the most entertaining of all the parks listed. It has an open air theatre, loads of wildlife and even a zoo. For a view of the whole of London, make your way up the famous Primrose Hill. The letter ‘e’ is pronounced as /iː/ in Regent’s /ˈriːdʒənts/, unlike most other spellings where ‘e’ is pronounced as /e/ as in ‘red’ /red/ or ‘kept’ /kept/. Highgate Cemetery is one of London’s hidden gems (seeing really is believing with this one). It’s most famous resident is Karl Marx. Many speakers would replace the /t/ in ‘Highgate with a glottal stop (A voiceless stop sound made in the throat) /ˈhaɪgeɪʔ/. The word cemetery contains a silent ‘e’ in the last syllable /ˈsem.ə.tri/. Situated in Greater London, Epping Forest is London’s largest space. Some people, particularly those with a cockney accent would replace the /ŋ/ sound in Epping /ˈeppɪŋ/ with a /n/ sound. The /ŋ/ sound is made by placing the back of the tongue on the velum (the soft part of your palate). The /n/ sound is produced with the tongue on the alveolar ridge (the hard palate just behind your front teeth).